Essays to write, exams to prepare for, practicals to rehearse for and if you’re a third-year student who read the procrastination article, you’re still buried in dissertation writing. GET IT DONE!!! 1. Eat healthy and satisfying meals. There’s nothing worse than being stressed about deadlines and then turning to a pot noodle. If you budget well, you can afford to splash out on a nice roast dinner or one of your favourite meals your Mum cooks you at home. 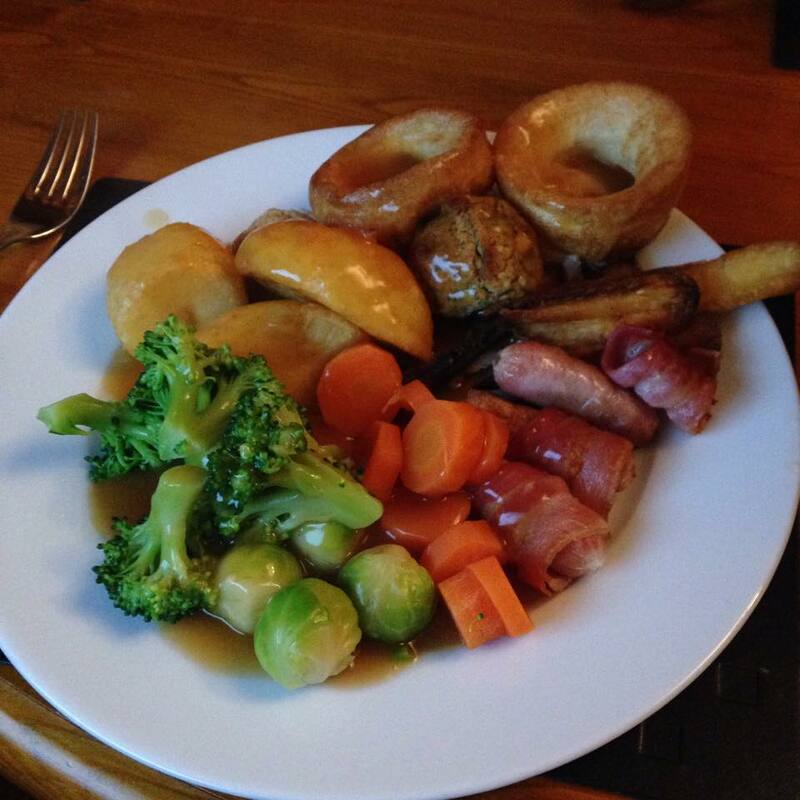 I love roast dinners and so having a nice big meal with lots of vegetables makes me absolutely stuffed! You can’t beat it! Sitting in Peirson for 6 hours or more straight, in my opinion, is not necessarily ideal for successful essay writing, revision or planning. You need regular breaks between writing and even if that means walking outside to get some fresh air or popping to the shop for supplies, it’s better than sitting in front of a computer screen for hours. 3. Make your uni flat/house homely. 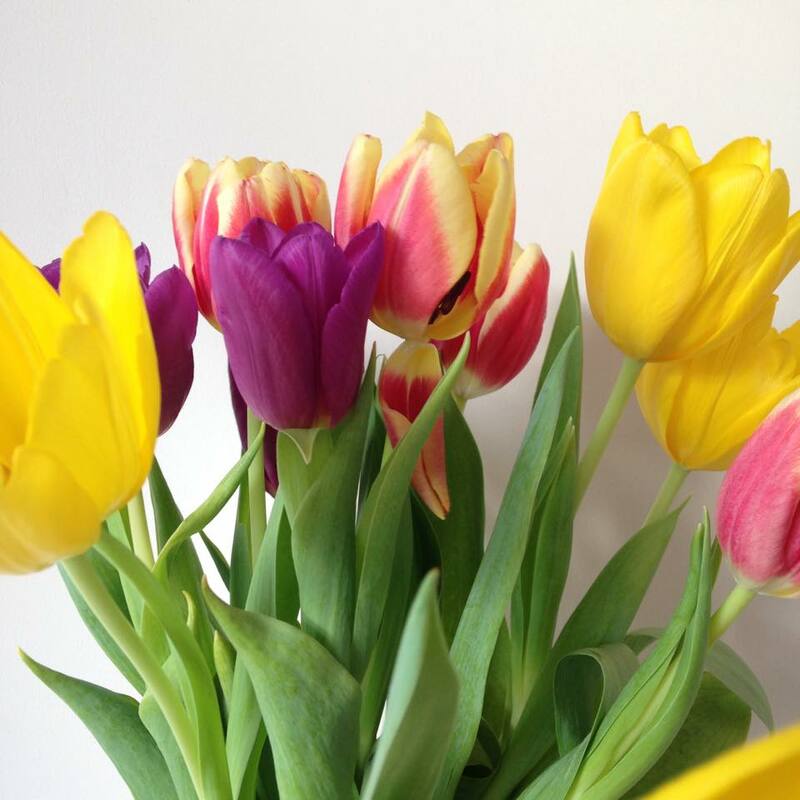 After spending a day in Peirson or if you’re like me and prefer working at home, then it’s nice for your uni accommodation to feel relaxing and homely.My housemate and I always have flowers in our house to just brighten the place up. We’ve also made this massive collage of photos of our time at University on our living room wall (make sure your landlord lets you before you go putting blue tac everywhere)! This just makes it less uni accommodation and more of a home and good working environment. These are just my top three tips for assessment de-stress but if you have any other suggestions that work well for you, feel free to comment below. At this time of year, any advice is worth a try!